LS Hotels is the brainchild of Sam Nazarian, founder and CEO of global lifestyle hospitality company sbe. A new paradigm in the luxury hotel experience that speaks to a global, sophisticated audience, and presents an alternative concept of luxury that revels in an unabashedly cheeky, modern spirit, SLS dares to dream a modern day playground – a place of enchantment, delight and elegance founded on the principles of incredible service, world class cuisine and design. 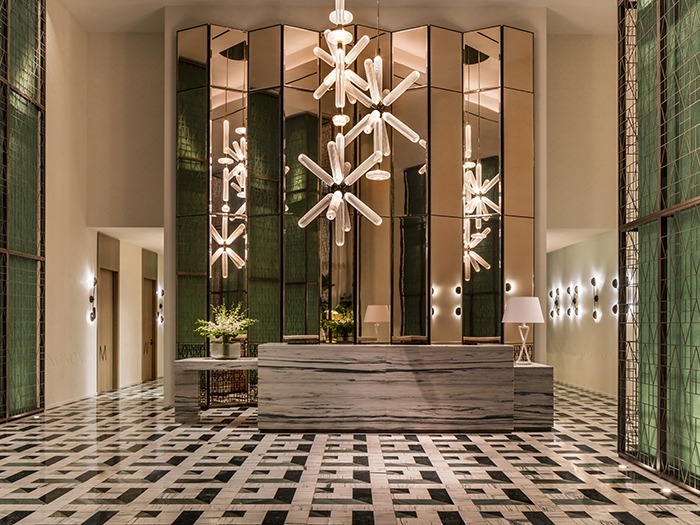 SLS Lux Brickell, situated in the heart of one of Miami’s most vibrant business and cultural community offers guests an all-suite and residential experience with heightened amenities and an array of bespoke and personalised VIP services. 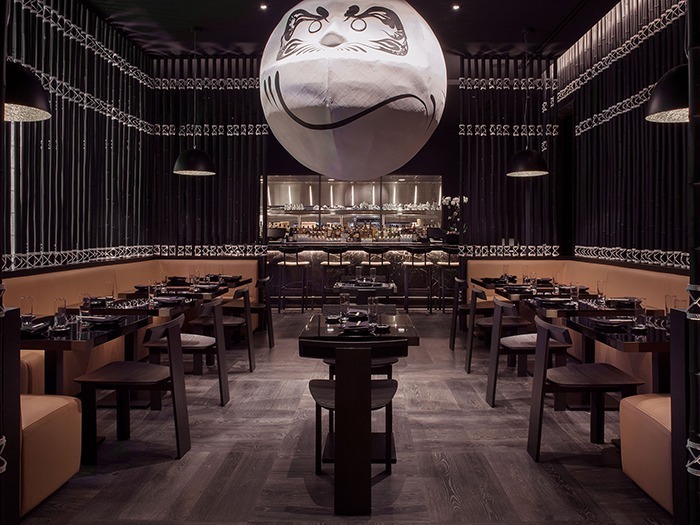 Designed by Yabu Pushelberg, SLS Lux features world-class art, tennis and fitness centre, a roof top pool, as well as two ground floor dining experiences, Katsuya and S Bar. George Yabu and Glenn Pushelberg talk darc through the project: “We have a long-term relationship with Jorge M. Perez and were glad to hear SLS Lux were looking for a new adventure. Our intent with the interiors of the Lux was to embrace the cultural heritage of the city and present a new interpretation of luxury to downtown Miami. Tailored Latin American influences infused the choice of colour, materials, scale and form – a counterpoint to the beachy-white modernist influence that’s so prevelant in Miami. 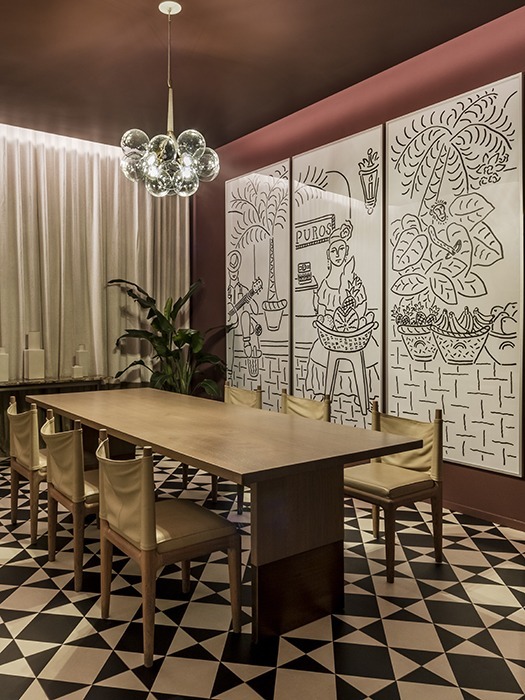 “We were particularly inspired by the glamour and grace of Havana and created an imagined design narrative of a Cuban-born entrepreneur who builds a clubhouse as a tribute to the fortune they have made in Miami, the decorative lighting throughout the hotel enhances this narrative. Through the SLS Lux project, Yabu Pushelberg has had the opportunity to debut the first installation from their lighting collection, Cipher, which is situated in the SLS Lux lobby and has been designed for Czech crystal manufacturer Lasvit. “The collection is comprised of a series of delicate hand-blown crystal cylindrical pieces that have been cut with clean, clear lines,” the duo tells darc. “The cylinders are joined together by champagne-gold finished connections that are the hidden sources of light, creating a soft overall effect. The cylinders themselves can be reconfigured into countless different horizontal and vertical combinations making the pendant fit just as appropriately in a hotel lobby as it does in a residential home. “This feature allowed us to alter the natural form of the pendant to create a multi-dimensional starburst chandelier in the SLS Lux lobby, spanning 15.5ft in length. “We aimed to create a hotel that mirrors the liveliness of Cuba and its cultural roots. Exploring our imagined narrative, we balanced expressive pattern with rich jewel tones and residential furnishing to artfully layer the spaces. 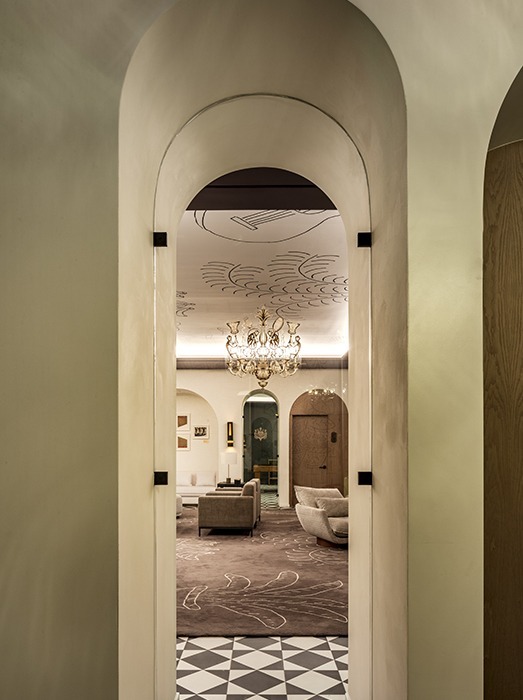 There is a particularly playful nature to the decorative lighting used in the hotel, infused with spirit and purpose. 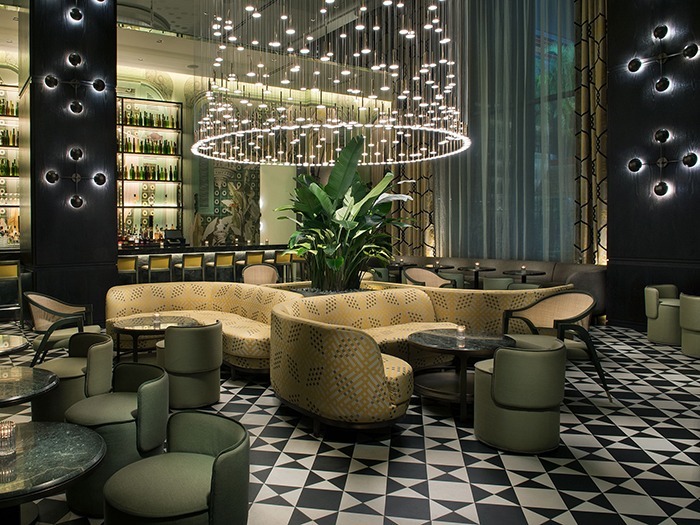 Whether it be a rain chandelier in the S Bar from Blackbody to bespoke XO wall sconces carried throughout the hotel, the lighting has been carefully considered to reflect the design narrative.